Yesterday on my Facebook Page I shared a post from Dairy farmer, Dairy Carrie. She wrote a wonderfully written post about the hard times facing the Dairy industry right now. I had several followers comment on the post about how they had no idea, and to one I responded that "farming can be a gamble". Why is farming such a gamble? We work hard to make our farm is sustainable by investing in conservation and technology to ensure we are using the best practices. But even if we are doing everything right, we are still at the mercy of things we can't control like the weather and the markets. We try to harness those risks through investing in certain seed traits for our crops, by spraying during times of insect and disease pressure, and doing different market strategies to hopefully create a safety net. But sometimes, like right now, no matter how you play your hand the cards aren't going to win you money and you're just hoping you leave the table (or each year) at a break-even. Not too long ago we had strong commodity prices and were on a hot streak. 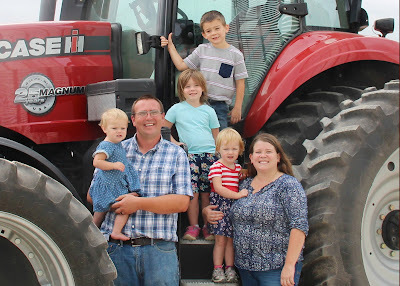 On our farm we used that time to build up assets, pay off long-term debts and build a buffer to help us ride out the low times till the odds were more in our favor. Some farmers are starting to reach their limit of being able to stay at the table and unfortunately are going bust. It is so sad to see all the hard-work and dedication of these individuals through the years, if not decades, and even generations have put forth to stay in the game that they love. This is one reason why I've had such a high interest in mental health in the farming community lately. In fact, I read the other day with things so hard in the dairy industry right now, that some dairy cooperatives were sending suicide hotline information out with their bills. So why would you farm? It may sound silly, but my husband and I farm because we love it. We love that everyday is "bring your child to work" day and that our four children are learning life skills of hard work, dedication, respect and empathy. I love that I am carrying on my family's tradition of farming as a 5th generation farmer. I love that our children get to see multi-generations working together daily. I love the community of agriculture and that everyone is willing to help one another. Farming is special and there is no other place I'd rather be than right here on our farm, building on both my husband's and my family's legacies for the future generation, our children. 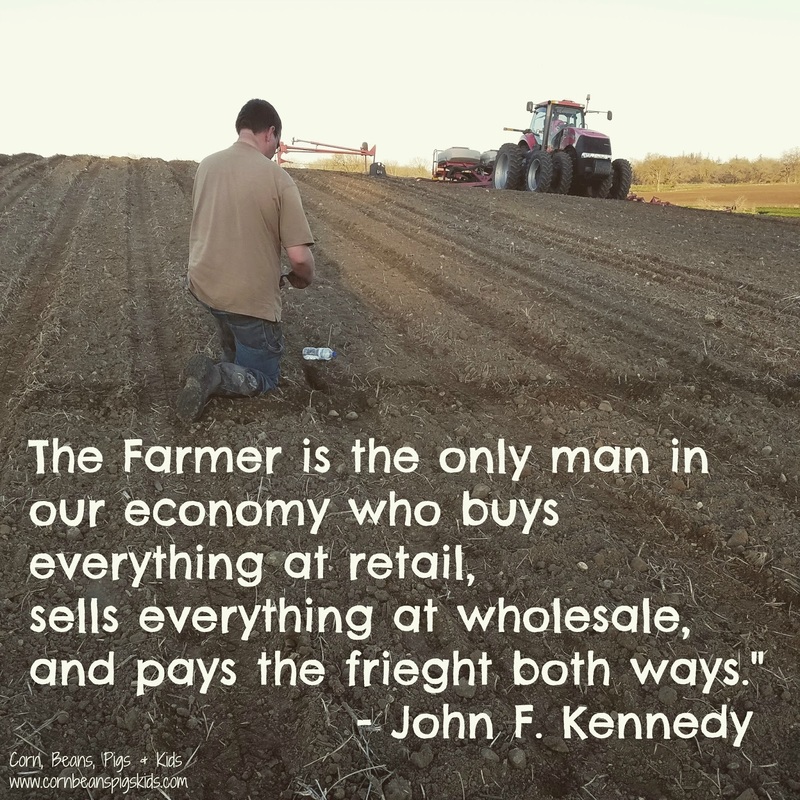 I hope you all have a great National Ag Day and I would love to hear any of your questions you have about farming. As always, be sure to Comment for a Cause. I always love these little peeks behind the scene. I have always lived around farms and farmers, but have never lived on a farm myself. I definitely could see how the ups and downs would be hard to take. Hopefully there are more ups around the corner! I'm hoping so too. Glad you enjoyed the post Carlee! Happy belated National Ag day. I love learning about farming from you and your family.